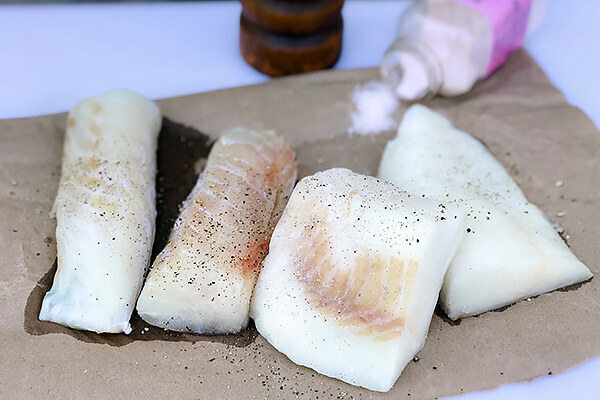 White, firm, flaky cod is delicately delicious! 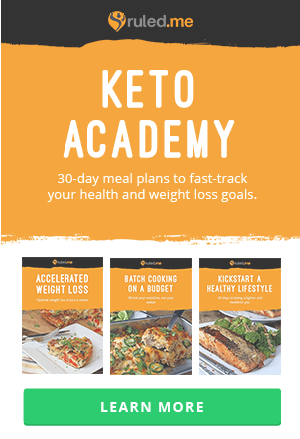 One serving gives you a low-calorie boost of protein, omega-3 fatty acids, B vitamins, and several other nutrients to help keep your heart healthy. 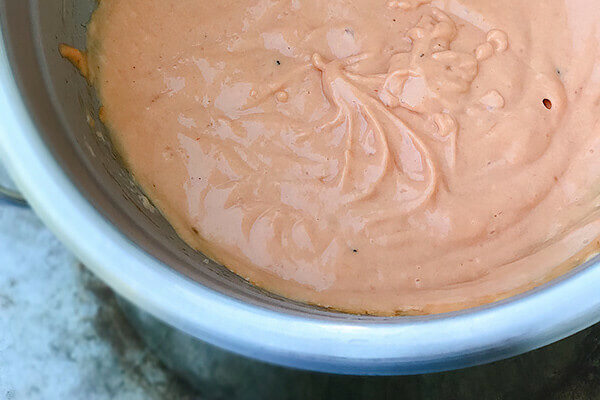 Its mild flavor is the perfect base for a rich sauce such as tomato hollandaise. 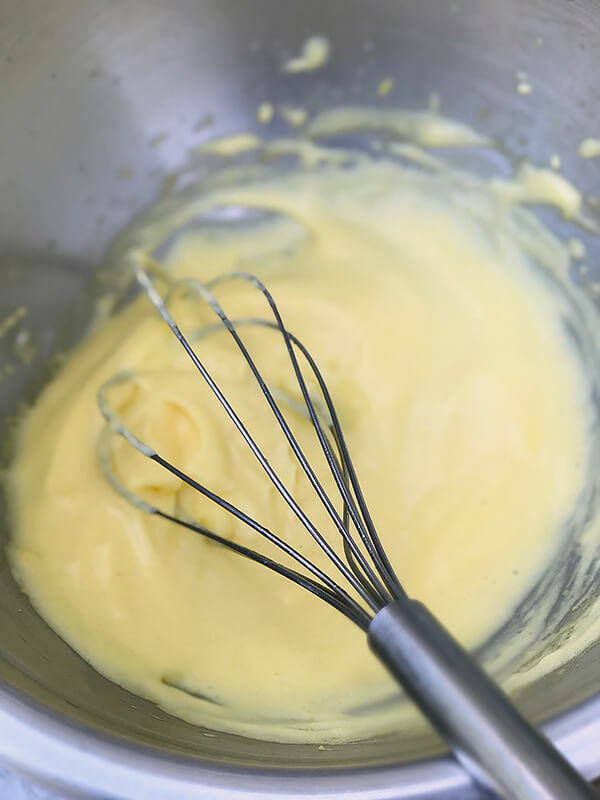 Hollandaise is an emulsified sauce wherein the egg yolks serve as both the emulsifier and the thickening agent. The more you cook the egg yolks, the thicker the sauce. Be careful though. The longer you fuss with it, the more chances you end up breaking the sauce and ending up with scrambled eggs. 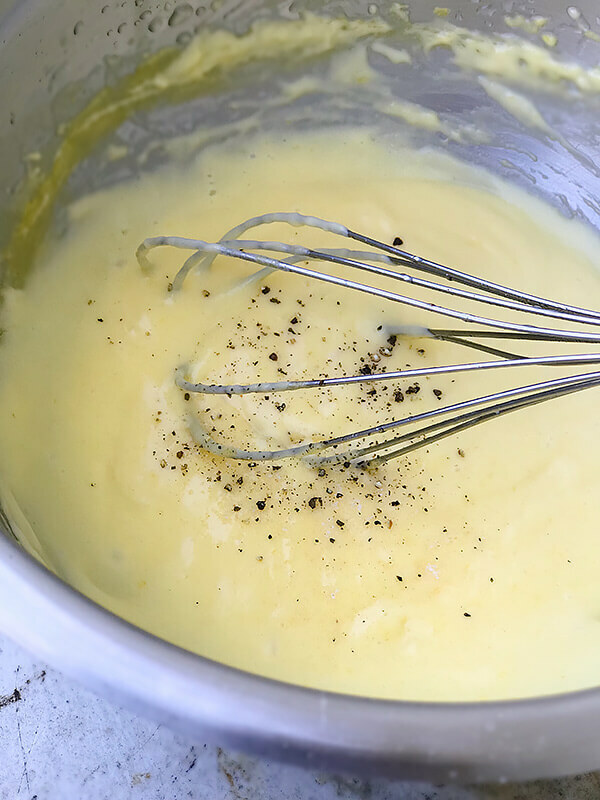 Once you know the principle behind hollandaise, trust me, doing it the old-school way is not that scary. Of course, you can use the immersion blender but it’s nice to feel like Alton Brown occasionally. 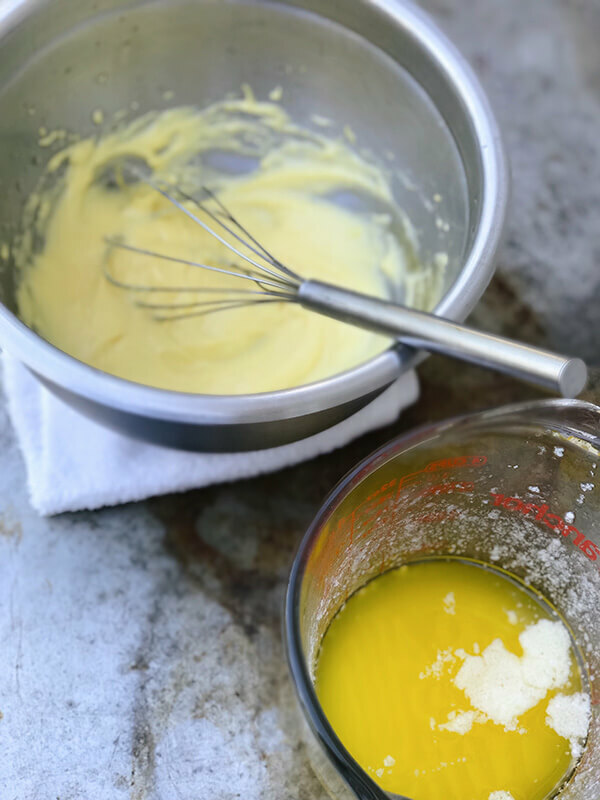 Fresh egg yolks make it easier to achieve an emulsion. 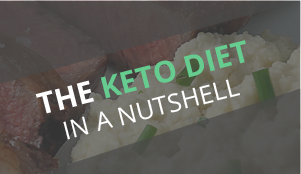 Serve with a side of spinach for a guiltlessly satisfying keto meal! 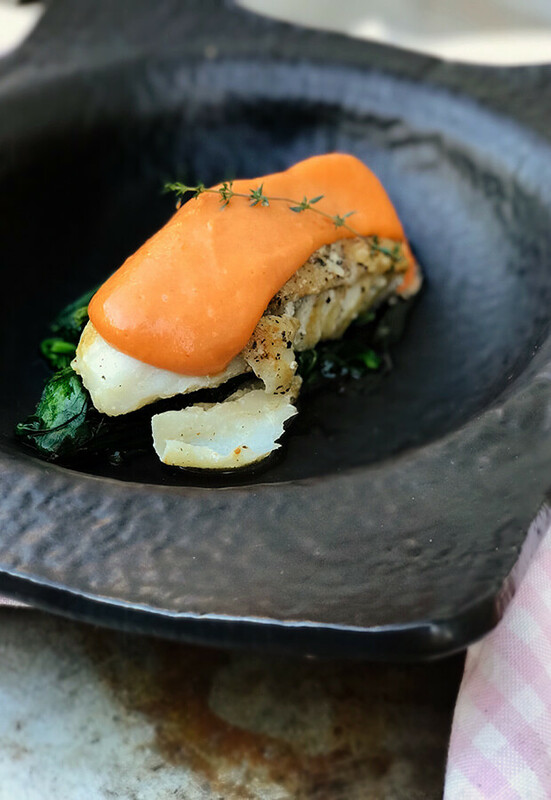 Yields 4 servings of Pan Seared Cod with Tomato Hollandaise. 1. Season both sides of the fillet. Note, salt at the very last minute prior to cooking to prevent the salt from “burning” the fish. 2. 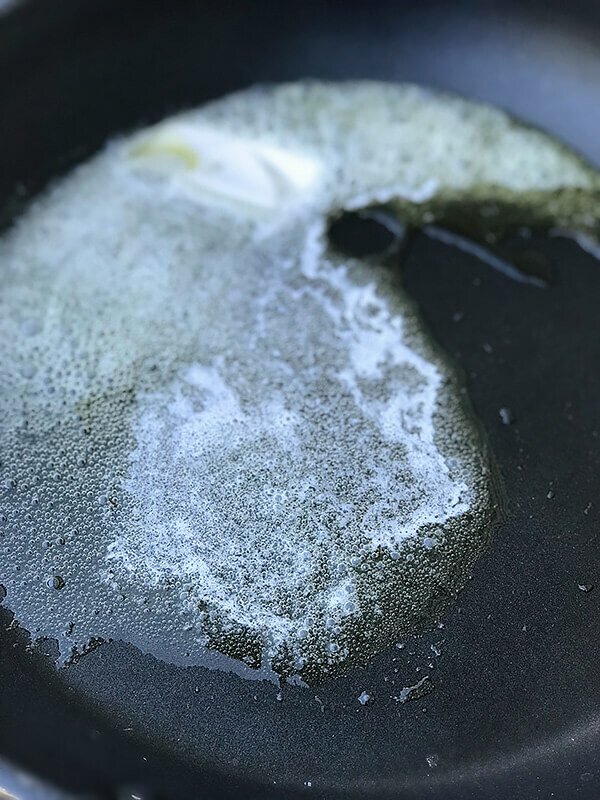 Coat the bottom of a non-stick pan with extra virgin olive oil and turn to medium heat. Add butter. When the oil and butter start to sizzle, add cod fillets and sear two to three minutes. Turn fish over. Tilt the pan and collect butter and oil and, with a spoon, baste your fish. 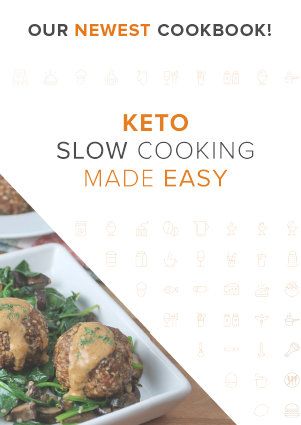 Continue to cook for another two to three minutes. Pro tip – turn when the side that is in contact with the oil turns opaque. 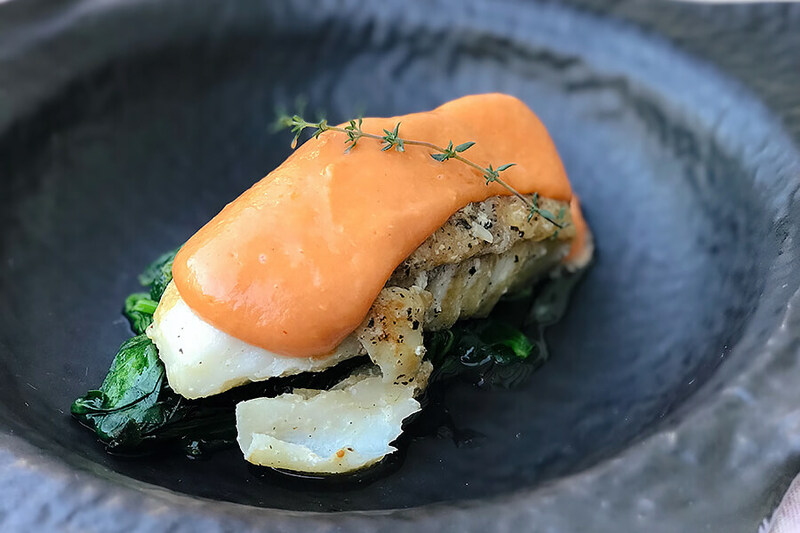 You will know that the cod is cooked when it flakes easily when poked with a fork. 3. Melt the butter. You may use the microwave. 4. Over a double boil, beat egg yolks and warm water (rule of thumb, 1 tablespoon of water for every egg yolk) until thick and creamy. Look for very soft peaks. 5. Once the yolks reached the desired thickness, remove from heat. You may place a warm towel under your bowl. 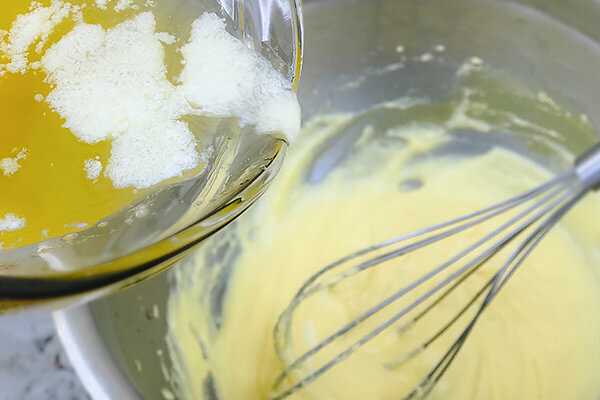 Whenever making any kind of emulsion, the addition of fats needs to be gradual – start with a few drops to get the emulsion started. 6. Continue streaming in butter until it is fully incorporated. 7. Season with salt and pepper. Add herbs, if desired. 8. Add tomato paste. Mix to combine. 9. 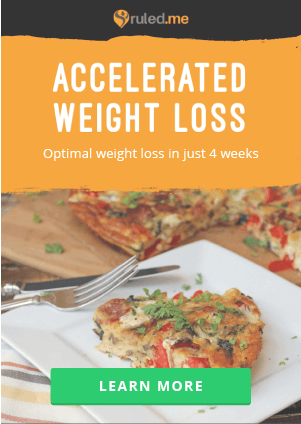 Finish with lemon juice. Adjust final consistency with a little bit of warm water to lighten the sauce and fluidity. Keep warm over a double boiler until ready to serve. 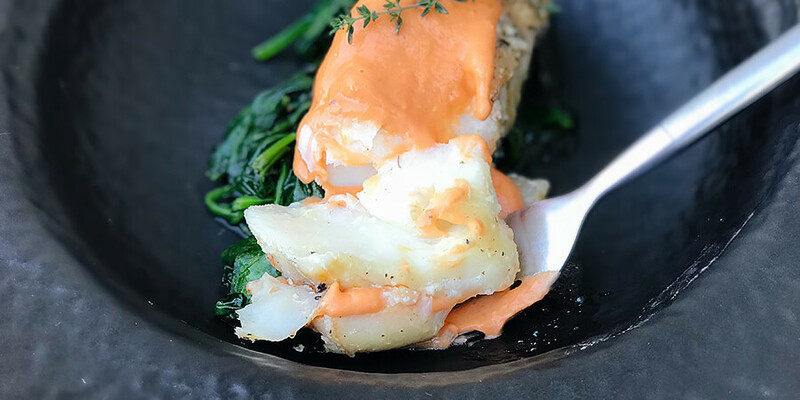 This makes a total of 4 servings of Pan Seared Cod with Tomato Hollandaise. 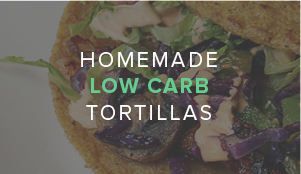 Each serving comes out to be 589.75 Calories, 56g Fats, 2.25g Net Carbs, and 20.63g Protein. Season both sides of the fillet. Note, salt at the very last minute prior to cooking to prevent the salt from “burning” the fish. Coat the bottom of a non-stick pan with extra virgin olive oil and turn to medium heat. Add butter. When the oil and butter start to sizzle, add cod fillets and sear two to three minutes. Turn fish over. Tilt the pan and collect butter and oil and, with a spoon, baste your fish. Continue to cook for another two to three minutes. Pro tip - turn when the side that is in contact with the oil turns opaque. You will know that the cod is cooked when it flakes easily when poked with a fork. Melt the butter. You may use the microwave. Over a double boil, beat egg yolks and warm water (rule of thumb, 1 tbsp of water for every egg yolk) until thick and creamy. Look for very soft peaks. Once the yolks reached the desired thickness, remove from heat. You may place a warm towel under your bowl. Whenever making any kind of emulsion, the addition of fats needs to be gradual --- start with a few drops to get the emulsion started. Continue streaming in butter until it is fully incorporated. Season with salt and pepper. Add herbs, if desired. Add tomato paste. Mix to combine. 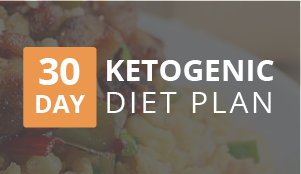 Finish with lemon juice. 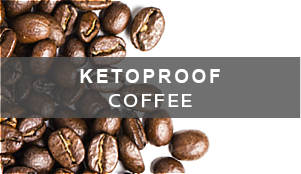 Adjust final consistency with a little bit of warm water to lighten the sauce and fluidity. Keep warm over a double boiler until ready to serve.